A month has almost passed after the implementation of value added tax (VAT) in UAE and now it seems that the things are coming on track and the people are feeling it easy to solve problems related to the effects of VAT on their daily lives and businesses. 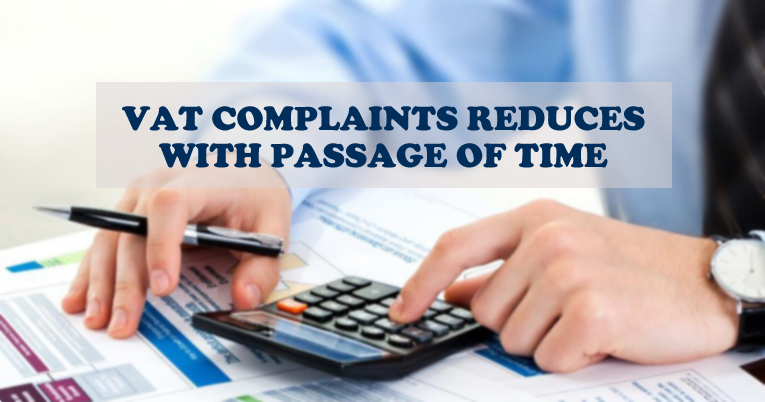 According to UAE’s Minister of Economy, Sultan bin Saeed Al Mansouri, the number of complaints they received before and in the start of implementation of VAT have reduced markedly now. According to the minister, the numbers of calls from consumers on 1st of January 2018 (the day of implementation of VAT in UAE) were 3,261 that reduced to just 493 after two weeks. Like every new process, there were concerns of people after the application of VAT on their lives and businesses but the situation normalized after just few days. It was later elaborated by chairman of FTA, Khalid Ali AL Bustani, that most of the complaints they received from consumers are about three important issues of: wrong calculation of VAT on commodities, price hikes and tax registration numbers. He added that his department swiftly responded on complaints that they received against violators. All the traders and departments involved in those violations, as reported by consumers, have been notified and they are given a grace period to abide by the rules and regulations of VAT. In case of continuous violations, they will be dealt with appropriate legal actions. This swift decrease in number of complaints by Emirati people regarding VAT clearly indicates that the government and all the concerned authorities are handling the matters regarding to VAT wisely and swiftly. People are satisfied with the efforts made by their government and it is expected that the situation will come under full control in near future. If you are a resident or an entrepreneur in UAE who wants to know details about VAT and its impact on your life and business, you can contact Riz & Mona Consultancy via our landline # 971-4-5586339. Our experienced legal team will help you understand the situation better.